A goniometer is a device that will allow you to accurately measure an angle or enable rotating of an object into a precise position. These devices have application for physical rehabilitation and occupational therapy; surface science; knife and blade cutting edge measurement; and the study of crystal faces in crystallography (Source). Goniometers can be digital or manual. We've selected below 4 digital goniometers to review and one manual goniometer. First let's take a look at an overview of our favorites. This goniometer has received solid user feedback from those we polled, primarily because of its ergonomic design. It is composed of 2 transparent see-through hard plastic rules with 10- and 8-inch marked blades. It has a hold function to keep so you will not forget a measurement. Also, its display reads continuously as you adjust the arms to correct measurement. 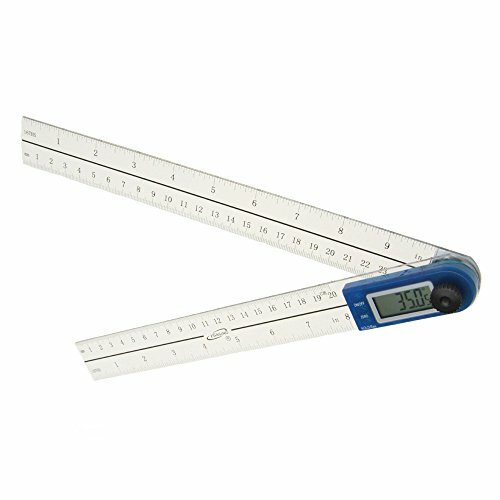 This goniometer is demonstrably effective for measuring inside and outside angles. It ships with a replaceable battery. While many are happy with this product, some users note that because of its length it can be difficult to keep in a white coat pocket. Another quality option- it is composed of 2 rules measuring 200mm and 300mm with the measurement vividly etched and not printed. It has a resolution of 0.1° and accuracy of 0.3°. To operate this stainless steel goniometer it is powered by a CR2032 3V lithium battery. 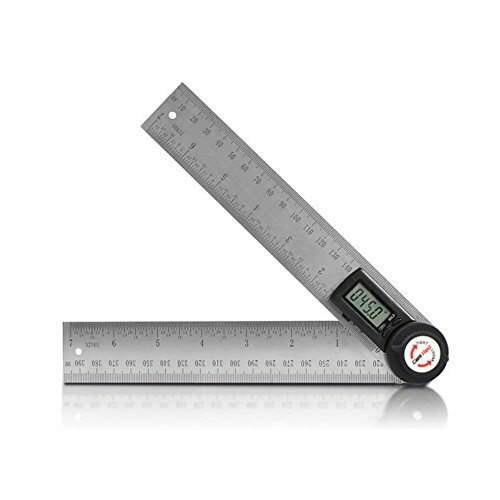 It is multi-function- as it can be used for accurately measuring lengths and angles and the results can be displayed in imperial and metric measurements. Moreover, it is intuitive to use with only two buttons to press. This digital goniometer is great for measuring patients’ range of motion. It incorporates integral horizontal and vertical levels in one arm for easy usage. It is also fitted with an LCD screen that displays 0 to 180 degrees. 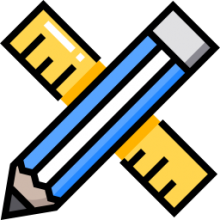 Moreover, it has the ability to freeze the executed measurements for easy reference. 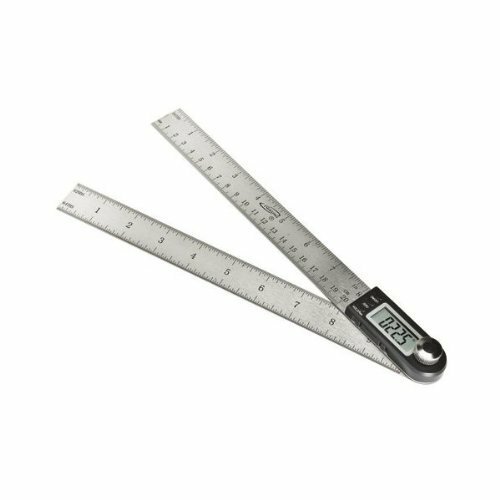 This goniometer has inch and centimeter marks and has powder-coated steel exterior for durability. It is operated using one 9-volt battery. However, this item isn’t able to make a 360-degree rotation. Some users also find it difficult to reset the measurement to zero. The Prestige is one of the few goniometers that can rotate 360 degrees, in single-degree increments. It is ideal for measuring a wide range of motions in a person’s joints. Measuring about 12 inches, its numbers that are displayed in inches and centimeters are large and clear enough for ease in reading. With its heavy-duty plastic material and strong construction, it is designed to last a long time. Also, it conforms to ISOM standards. While many are happy with this item, some would have given it a higher rating were it not for its big size. If you want a goniometer that has a huge user base- consider this as an option. It allows you to set and measure angles from 0 to 360 degrees at 0.05-degree increments. For convenience in measuring, the stainless steel arms of this tool display in either graduated inch and metric scale. As an added feature, this battery-operated goniometer has a hold function to ensure that you will never lose your reading. For hard-to-calculate angles, it also has a reverse reading capability. However, some users report that the accuracy of this goniometer can tend to be off by 0.05 degrees. A goniometer is a gadget utilized in physical rehabilitation to determine the range of movement associated with a joint in your body. The term goniometer comes from the Greek phrase gonia and metron, that indicate angle and measure, correspondingly. A goniometer is generally made from plastic material and is also frequently translucent. From time to time goniometers are made from metal. There's 2 "arms" of the goniometer: the fixed arm and also the moving arm. Each arm is placed at particular areas on your body and the middle of the goniometer is lined up at the joint being assessed. You will find hash markings on the center of the goniometer that the physiotherapist utilizes to exactly calculate joint range of flexibility. Whenever starting physical rehabilitation, your physiotherapist could use a goniometer to acquire a guideline range of flexibility rank close to a particular joint. Following a particular treatment or therapy, she or he might evaluate again to make sure that the therapy is beneficial. Goniometers come in different sizes. Goniometers are frequently used in physical rehabilitation treatment centers, hand treatment practices, sports training places, and chiropractic practices, in addition to orthopedic physicians practices, to determine joint flexibility, for revealing improvement, change or for impairment evaluations. Goniometers are utilized to appraise the complete amount of accessible movement at a particular joint and could be employed to calculate either active and passive flexibility. Goniometers are made in a number of styles and sizes and so are typically made out of either plastic or metal. 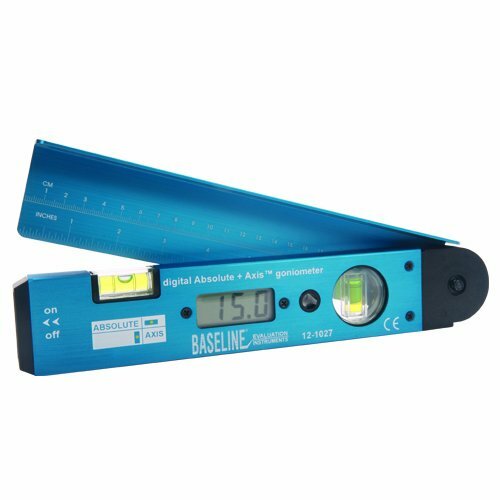 Two of the most popular kinds of devices employed to calculate joint angles would be the bubble inclinometer and also the traditional goniometer. ​Although measuring with a goniometer normally requires computing the measurements of an actual physical object, there's also other kinds of measuring which it can be utilized for in a wide range of applications. The goniometer turns out to be a valuable and dynamic gadget useful in lots of different types of tasks. As an example, the goniometer has been utilized both in civilian and armed service procedures as a method of obtaining the path and position associated with signaling capabilities. By determining and zoning in on transmissions, the goniometer assists individuals in indentifying signals hearing the transmission. They have confirmed utility for war time scenarios, as well. Together with numerous communications capabilities, the goniometer calculates angles related to crystallography. Basically, this use of the gadget entails goniometers to to acquire angle dimensions as they correspond with the angles within between crystal facings. This type of goniometer use has assisted the goniometer to help the science of goniometry to rise to brand new levels once the goniometer was applied as part of the ways of understanding much more about the nuclear framework of crystals during the early time period of the 20th century.​ ​Industry also depends on the usage of goniometers also. Modern technologies that use lasers as a method of slicing raw materials for production purposes will frequently use a goniometer to guarantee the angle and length of a cut is at specs. The contact angle goniometer can help in high quality control endeavours, making certain any completed products or merchandise satisfy dimension and measurement specifications essential for appropriate utility of the products. If you're interested in purchasing a goniometer, read our reviews above and make use of the comparison table to get a sense of the best goniometers on the market.